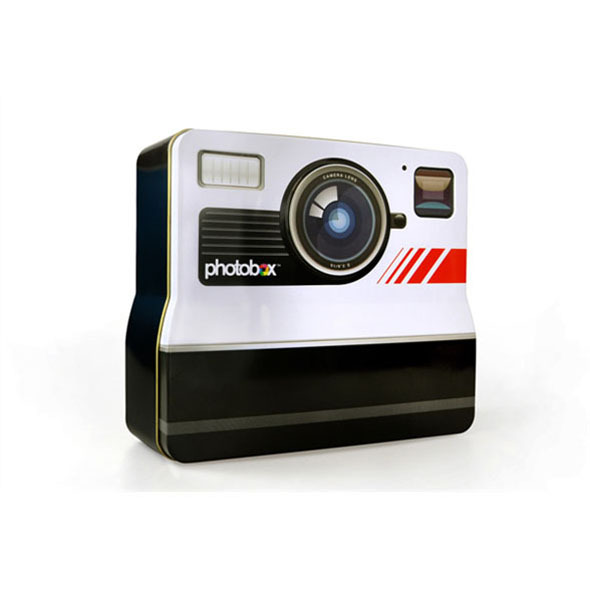 The Photobox Retro Camera Tin is the flashiest (and no, we won't excuse the pun) storage container for all your favourite photos! Hurry, because people are going to snap these babies up. Need a gift for someone who's big on photography? Allow us to introduce Photobox, the handy storage tin that's shaped like an old-fashioned camera! 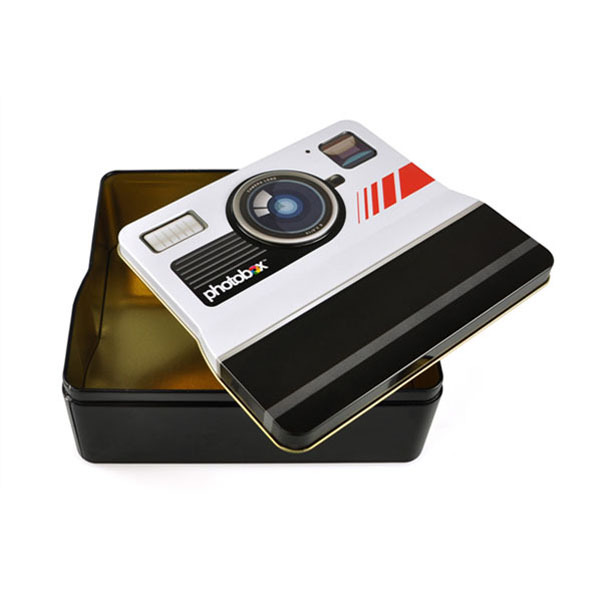 No matter what you put inside, this retro camera tin is sure to keep it safe and sound. And it looks pretty cool, too! What can I keep in my Photobox? Use it as a safe place to store your favourite photos! Use it as a stylish biscuit tin and keep it handy at tea-time! Use it as an odds 'n' ends box for everything you can't find a place for but don't want to get rid of! Disclaimer: The Photobox will not allow you to take actual photos, though the tin itself will take photos.